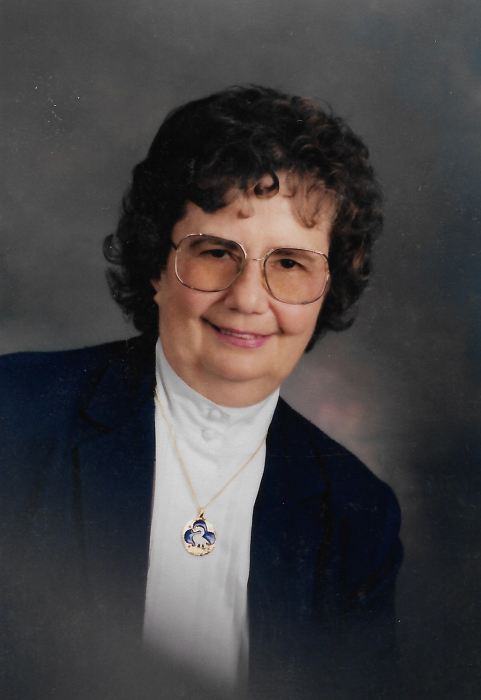 Barbara Lawrence, 86, of Mount Vernon, Illinois, formerly of Edwardsville, Illinois, passed away at 11:49 P.M. January 31, 2019 at SSM Health Good Samaritan Hospital. She was born October 20, 1932 in Perry County, Illinois to the late William and Helen (Lunneman) Lawrence. Barbara is survived by her siblings, Mary Elliston and husband, Terry of Waltonville, Illinois and Gary Lawrence and wife, Barb (Stern) of Mount Sterling, Illinois; sister-in-law, Veronica (Poiter) Lawrence of Wolf Lake, Illinois; nephews, Jared Elliston, Mark Elliston, Kyle Lawrence, Mike Lawrence, and Steve Lawrence; nieces, Cathy Kilbert, Teri Cira, Gail Lawrence, Cindy Olesen, Lori Fuller, and Theresa Siwek; and several great-nieces and great-nephews. In addition to her parents, Barbara was preceded in death by her siblings, William “Bill” Lawrence and Noel Ann Lawrence; one infant brother; one infant niece; and nephew, Gary Scott Lawrence. Barbara graduated with a PhD from Saint Louis University and worked as a professor of English at Southern Illinois University Edwardsville. She was a volunteer at Olive Anderson Hospital in Maryville and was very active at Saint Boniface Catholic Church in Edwardsville, where she served as a Eucharist Minister and a Lector. Barbara was also a past active member of the Daughters of the American Revolution. She loved to go to amusement parks and ride rides with her nieces and nephews. In her spare time, Barbara also enjoyed reading and traveling with her family. She will be missed by all who knew her. A Visitation will be held Wednesday, February 6, 2019 from 9:00 A.M. to 10:00 A.M. at Saint Mary Immaculate Conception Catholic Church in Mount Vernon, Illinois. A Funeral Mass will be held Wednesday, February 6, 2019 at 10:00 A.M. at Saint Mary Immaculate Conception Catholic Church with Father Clyde Grogan officiating. Interment will follow at 1:00 P.M. at Saint Bruno Catholic Cemetery in Pinckneyville, Illinois. Memorials may be made in Barbara’s honor to the Coffin-Lowry Syndrome Foundation.